My name is Mrs. Talitha Law and I am the Math & Science Instructional Coach. This is my first year at Royalwood Elementary and Sheldon ISD. I must say that I am very excited to be working with the students, staff, parents and community of the Royalwood Lions. My family and I live in Humble, TX. We have one daughter, Nevaeh and 3 energetic dogs. I have been in the education field for 15 years. 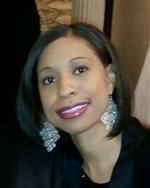 I have teaching experience in North Forest ISD, Houston ISD, and Aldine ISD. I also spent some of my educational career as an administrator at Harris County Department of Education. My goal at Royalwood is to ensure that our teachers are the best at providing our students with the right education and resources that they need currently and in their future. Hear Our Roar, Feel Our Pride!